Here at J C White Geomatics we’ve recently been involved in a number of innovative scanning projects. We have completed an internal and external survey of London Bridge’s north abutment for the City of London Corporation. Our confined space team captured and documented the inner elements of the abutment and we will be producing a 3d model to enable future work planning and maintenance on the bridge. As the understanding of laser scanning and its benefits become more widespread, so the diverse requests and differing markets are opening up. A large field of work is the steel fabrication industry where we have enabled the accurate transfer of projects from computer to site so pre-empting site clashes. A request to determine the deformation of a polished mirrored surface pushed the scanner to its accuracy limits. A model was made of the dish, based on which a pre-determined elliptical shape will be cut for inclusion in an artwork. Our local town of Folkestone has a great deal of development on the horizon. We are lucky to be involved in a number of key renovation projects including The Leas Pavilion and the infamous water lift which links the town centre with the harbour area. 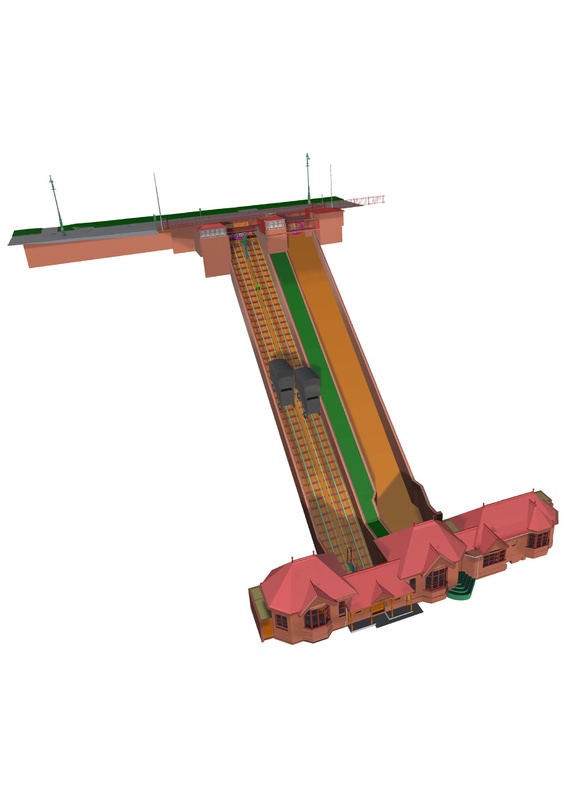 The Leas Lift required a full laser scan and 3d model enabling engineers to plan the renovation works and future potential of this historic lift.